My father Ernest William Martin was born at Jubilee Cottages in Norsey Road. 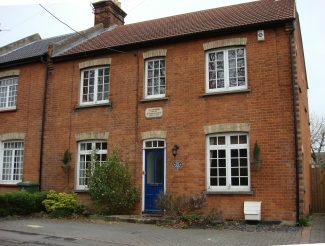 The cottages were built by farmer George Saner in 1897. A stone with an inscription above the door of the largest end cottage shows the stone was laid by Mrs George Saner on 15th June 1897. My cousin Charles Martin tells me George Saner lived in the end cottage himself, which is no doubt why it is larger than the others. 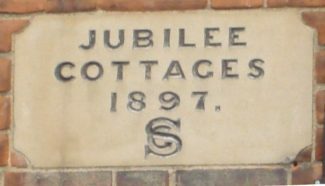 1897 was the year of Queen Victoria’s Diamond Jubilee and the cottages were no doubt named to mark the occasion. 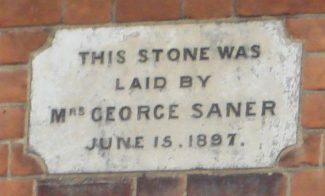 George Saner had a farm behind the cottages which stretched between Norsey Road and Stock Road where the Bridles Estate is today. He had forcing sheds for growing rhubarb and I remember talk in the family that my Aunts Beattie (Beatrice) and Ghillie (Fanny) worked in the rhubarb sheds. Beattie and Ghillie were twins. Aunt Beattie and her husband (my Father’s brother) Robert lived in School Road across the road from my family. George Saner is listed in the 1923 telephone book as a ‘Sea Kale Grower, Norsey Farm’ and in Kelly’s Directory between 1906 and 1933 as a Market Gardener. Sea Kale is a crop which is no longer commercially grown as it does not provide high enough yields. It requires forcing in the same way as rhubarb, which is also a crop which is no longer widely grown – rhubarb is now mainly grown commercially in Yorkshire. My great grandparents lived at No. 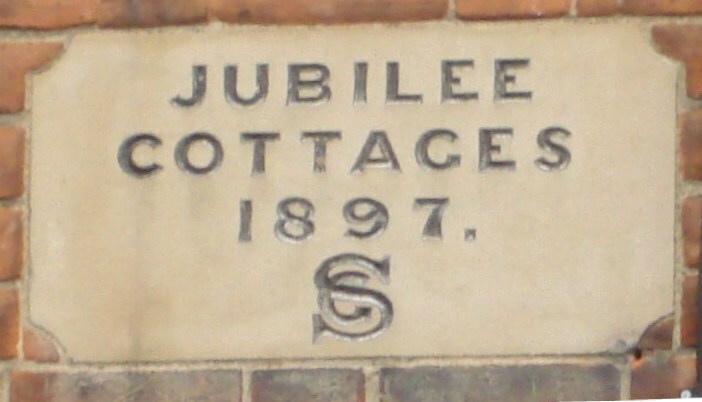 1 Jubilee Cottages, my great grandad was called Johann Schmitz (known as John Smith) and worked as a tailor. Just browsing through info. on Billericay – No.4 jubilee cottages, was my home from 1941-1953, when I noticed a comment from Felicity. I am almost certain this person was originally Felicity Downham. I currently own No. 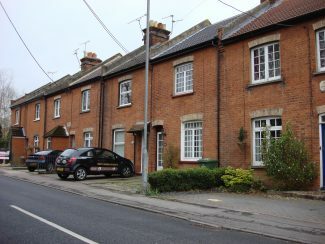 1 Jubilee Cottages where the farmer George Saner and his family lived, he built the adjacent cottages for his farm workers. I have inherited some very old photos of George Saner and his family and wonder if they would be of any interest to this site or the Cater Museum. 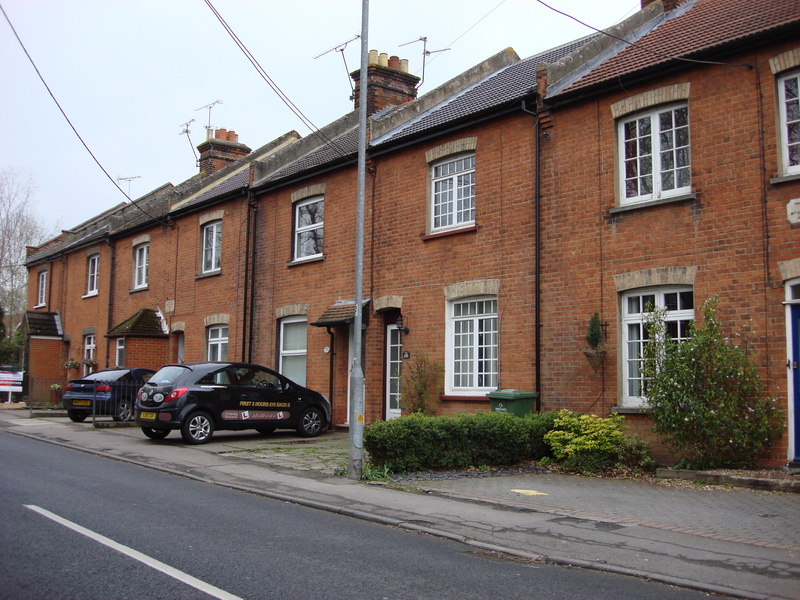 I lived in Jubilee Cottages in the 1950s, coming from Billericay I lived in the last one, with my Mother and Sister. A lady called Mrs Bull rented rooms and we had two bedrooms and a small living room and we shared the kitchen with her. Also a Mr and Mrs Shmitt lived there, this would have been about 1952/4. The woods were the other side of the road. Are there any more stories like this one that show the history of our older buildings? It is nice to know the roots of these cottages. Can anyone help with the other terrace in Norsey Road?